Carolyn Dicharry is the BSA Officer at Ripple, a financial technology company providing one frictionless experience to send money globally using the power of blockchain. In her role, Carolyn helped to develop and manages AML and sanctions compliance programs related to the Ripple’s virtual currency-related products. Prior to joining Ripple, Carolyn worked as a compliance officer for Sigue, a multi-national payments company, and managed AML investigations at Wells Fargo’s FIU. 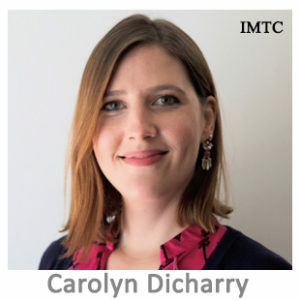 Carolyn holds a BA in Economics and Spanish from the Clark Honors College at the University of Oregon, an MBA from the University of California, Davis’ Graduate School of Management, and is a Certified Anti-Money Laundering Specialist through ACAMS.